At the 2017 IBC show in Amsterdam, two new products including Fraunhofer technologies for digital radio were introduced: the first Software Defined Radio (SDR) digital receiver for consumers, and a new DAB monitoring receiver for transmitter, content and remote-coverage monitoring. Titus SDR, PantronX, Jasmin-Infotech, TWR, and the Fraunhofer Institute for Integrated Circuits IIS have teamed up to create Titus II, the world’s first consumer Software Defined Radio (SDR) digital receiver (pictured above). For the first time, this platform supports true, multi-standard radio reception with all-band DRM, DAB(+) and data application decoding. These features are based on a custom Android tablet platform, which features multi-point touch, WiFi/Bluetooth and stereo sound. Titus II units will soon be available as a stand-alone product from Titus SDR, Inc., and from selected OEMs. And as a module, it serves as a full-featured basis for third-party product development. Fraunhofer IIS’ project involvement entails enabling the digital and analog radio features of Titus II, which include DRM in the AM and VHF bands along with the latest audio codec xHE-AAC, DAB Classic/DAB+, FM stereo with RDS and AM. It also includes DRM/DAB Data Apps such as text messages, Dynamic Label/DL+, Journaline, (Categorized) Slideshow, EPG, and Transparent File Transmission (e.g., for educational services). As a special feature, Fraunhofer’s MultimediaPlayer technology also enables the Remote Radio Hotspot feature: A built-in WiFi hotspot, which allows any mobile device with an HTML5 web browser to connect to the Titus II via Wi-Fi, select radio services, access all the DRM/DAB data apps and even listen to audio (via HTML5 audio streaming). A recording feature and HTML-based archiving interface to select existing recordings for playback will be provided in a future update to the Titus radio app. 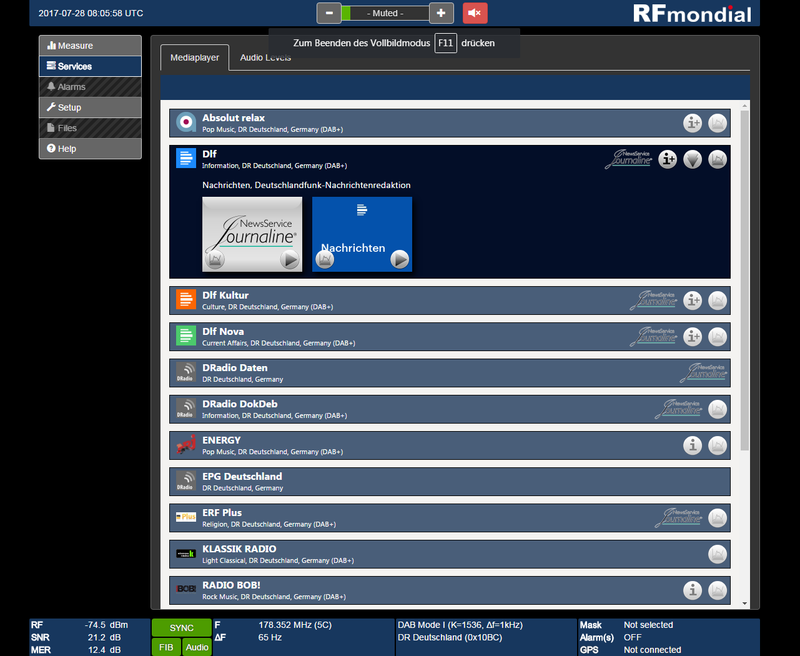 RFmondial’s new DAB monitoring receiver RF-DAB for transmitter, content and remote-coverage monitoring is equipped with the “Professional Edition” of the Fraunhofer MultimediaPlayer technology, which enables the presentation of all DAB(+) services. 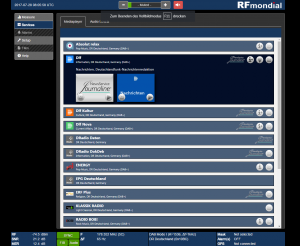 In addition to the full feature set of the consumer variant, the extended Professional Edition of the Fraunhofer MultimediaPlayer technology, which is integrated in RFmondial’s products, is optimized for professional DAB and DRM monitoring and archiving solutions. It natively supports the digital protocols for the multiplex distribution (EDI/MDI over UDP/IP) as input sources and the decoding of IQ baseband signals, as well as the display of detailed decoder statistics. Based on these statistics, which are collected by all receiver components, broadcasters are able to verify the transmission quality of their services by monitoring the elements carried on the various transport levels. The HTML-based user interface of the “MultimediaPlayer Professional” technology allows for a simple graphical adjustment to and integration with the customer’s products, which can also be accessed remotely via web browser – including full support for the playback of all contained audio and data service components thanks to the use of the HTML5 standard.